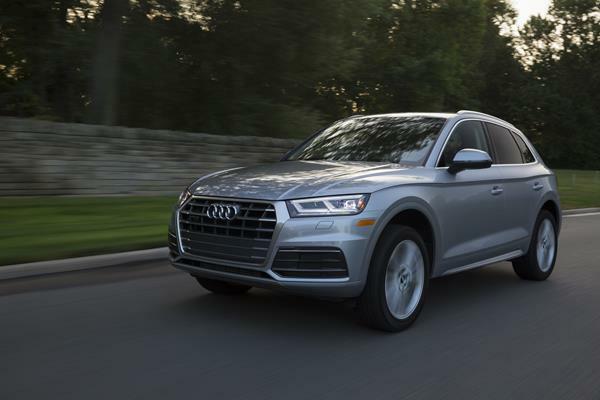 Fully redesigned for the 2018 model year, the Audi Q5 is now utilizing the latest Audi chassis, debuted with the A4 sedan. This adds some length and width, though only in millimeters, and a better ride dynamic. Engines also see some upgrades as does the drivetrain and the Q5's technology offerings. In short, the 2018 Audi Q5 is now much more comfortable, well-mannered on the road, and technologically advanced than the outgoing model. Given that the previous Q5 was a long-lived best-seller for the company, that's saying all good things. 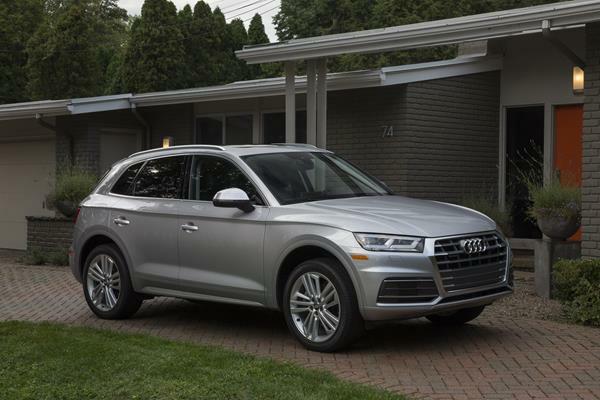 The 2018 Q5 is a luxury crossover-SUV in the small-midsize segment. It seats up to five and comes standard with several advanced safety features and all-wheel drive. 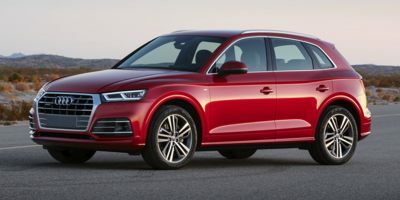 On the outside, the 2018 Audi Q5 is similar to its preceding generation in general styling, but there are several changes that make this one more updated and modern. The lines on the Q5 are now crisper, for example, and the front fascia is less rounded and more angular to fit in with the current look of the Audi lineup. Wheel wells on the Q5 are larger with more gap between tire and body for a more robust look. The roofline is largely the same, but a light curve to the body line at the front and rear adds a bit more flair. The raked windscreen and faster pace of the overall appearance of the new Audi Q5 is a great combination. In all, this is a new, but not too new Audi with a solid look about it. The interior of the 2018 Q5 is very well done. With a minimalistic design, which should appeal to luxury buyers, this Audi has a smart use of multipurpose switchgear and intelligent use of space. Materials quality is high and workmanship is phenomenal. All good things. The 2018 Audi Q5 is easy to drive and operate thanks to the way the driver's cockpit is arranged. A few quirks, which are Volkswagen-Audi things, such as the switch for the windshield wipers, take some getting used to, but for the most part, everything is where it should be. Most features are easy to find and use. We love the virtual instrument cluster, which is easy to read in all lighting situations. Door openings for the Q5 are tall and fairly wide, making getting in and out easier. Surprisingly, the higher ride does not translate to a "climb in" for smaller people. Kids and adults will have no issues getting into the Q5. The minimalist design of the Audi Q5 contributes to its feeling of roominess inside. Headroom and shoulder room are good with legroom being great up front and better than most in the rear. There are 26.8 cubic feet of cargo space with the rear seats up and 60.4 cubic feet with them folded. Hooks and nets accommodate stowage and the innovative VW/Audi track-based cargo system allows easy anchoring of just about anything. The liftgate is powered as standard in the Audi Q5. Audi's MMI infotainment system has greatly improved with this latest generation. It's now far easier to use and much more intuitive as well as faster in responses and smarter. Steering wheel controls in the Audi Q5 are some of the best we've seen in the business so far, allowing robust use of the system without taking hands from the wheel. The center console's trace pad for entering addresses and phone numbers is also really smart. 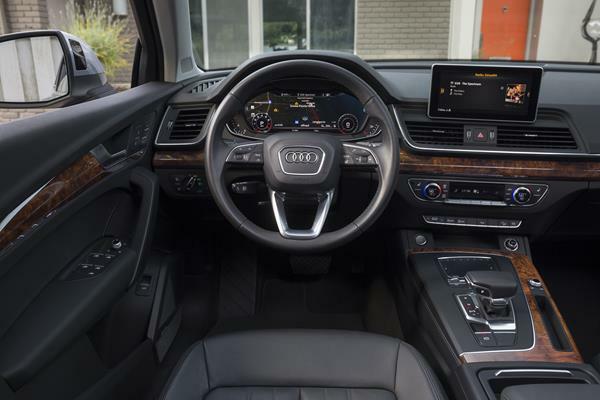 Both Apple CarPlay and Android Auto are standard in the Q5 and the only downside is the lack of a touchscreen for controlling them on the Audi's infotainment. Learning to use the control knob (MMI dial) takes a little time, but comes quickly. We are fans of the base system and its robust nature for the Q5 and feel that most buyers will be happy without an upgrade. The 2018 Audi Q5 has two engine options. The standard four-cylinder engine is EPA-rated at 23 mpg in the city and 27 mpg on the highway. About average for the Audi's class. The V6 upgrade lowers fuel economy to 19 mpg in the city and 24 mpg on the highway, which is slightly below average. 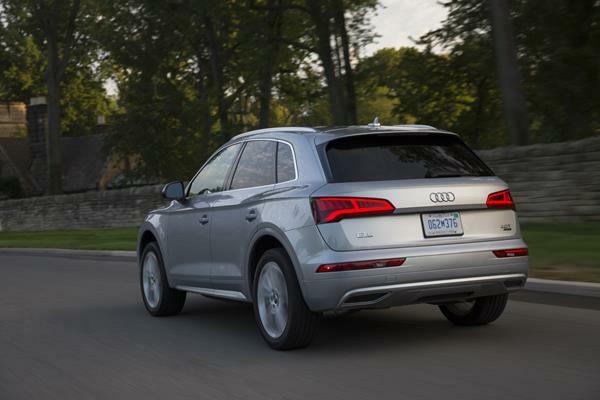 Because this is an all-new vehicle, the 2018 Q5 is tougher to quantify for reliability. The J.D. Power and Associates Vehicle Dependability Study rates the Q5 as "About Average" from consumer surveys. Recalls have been for both the brakes and airbags. 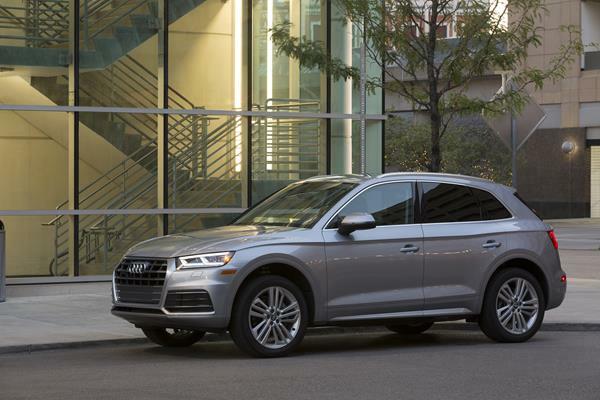 Both the National Highway Traffic Safety Administration (NHTSA) and the Insurance Institute for Highway Safety (IIHS) have given the 2018 Audi Q5 top marks for crash test results. The NHTSA has given the 2018 Q5 a 5-Star overall rating with five stars each for frontal and side crash results and four stars for rollover. The IIHS has likewise given the 2018 Audi Q5 top scores of "Good" on all crash tests conducted. This year, the Q5 now comes with standard advanced safety equipment such as automatic emergency braking with pedestrian detection (Pre Sense City). Other items such as blind-spot monitoring, rear cross-traffic alert, a 360-degree parking camera, advanced cruise control, and so forth are available as add-ons or trim level upgrades. Performance in the 2018 Audi Q5 comes courtesy of either of two turbocharged engines. The base engine is a 2.0-liter four-cylinder that's turbocharged to output 252 horsepower. This runs to a beautifully-done seven-speed dual-clutch automatic transmission that powers the front wheels and switches to all-wheel drive automatically, when required. The upgrade engine is a more powerful twin-turbocharged 3.0-liter V6 that outputs 354 horsepower to an eight-speed automatic transmission with the same front-centric AWD setup. The V6 outputs a lot of good power, but the size and capability of the Q5 is well-suited to the little turbo four. What's more, the dual-clutch transmission in the four is much more lively and well-done, with crisp shifts and a fast pace about it. The AWD system is nearly seamless and does very well in both inclement weather and light off-road duty. Our chief complaint with the Audi Q5 is its aggressive traction and stability controls, which primarily use ABS braking to control the vehicle. These often intrude on spirited and off-pavement driving, making the fun times less so. Most drivers who don't push their vehicles very hard will likely never notice this, but those of us who enjoy a little fun cornering and off-road jaunts will find it annoying. The 2018 Audi Q5 is otherwise very quiet and well-mannered in most driving situations. It's maneuverable, offers the driver plenty of visibility, and gives just the right amount of feedback to remain engaging. This is a nicely-done crossover-SUV. The 2018 Audi Q5 has a good starting price that is commensurate with its segment and the entry-level luxury market. Most will be happy with a purchase in that base trim, though an upgrade to the Premium Plus (which isn't much) might suit better. We recommend getting the Q5 Premium Plus model for the best balance of amenities and price. We do not recommend the 3.0L engine upgrade option, which comes with a steep cost and little value. There are more than a few competitors in the small-midsize luxury crossover market. The 2018 Audi Q5 faces off with the well-done Mercedes-Benz GLC, the strong BMW X3, and the excellent Acura RDX. The GLC is more expensive and much more luxurious than is the Audi, so it may not appeal to some buyers. The BMW is very similar to the Q5 in its appeal and offers similar drive dynamics and interior excellence, but falls short in performance and economy comparisons. The Acura RDX is sportier and faster-paced than is the Audi Q5, with a great interior to boot. Its sport bent, however, means a slightly rougher ride by comparison. In all, we think the 2018 Audi Q5 strikes a great balance between luxury, comfort, sportiness, and capability. Its fuel economy is very good for its performance output and the usefulness and roominess of its interior makes it a great bargain for the small vehicle shopper. The Q5 is definitely well worth a look. Interested to see how the 2018 Audi Q5 ranks against similar cars in terms of key attributes? Here are the 2018 Audi Q5 rankings for MPG, horsepower, torque, leg room, head room, shoulder room, hip room and so forth.